Multifamily housing is continuing to move in the direction of green building and LEED certification. 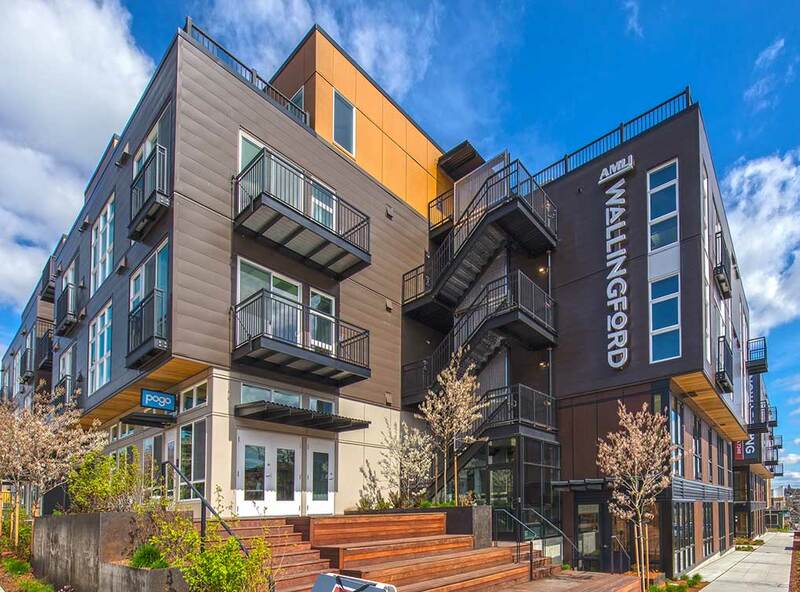 AMLI Residential, a 2016 LEED Homes Award winner for Outstanding Multifamily Developer, has been building all new construction to a minimum of LEED Silver standards since 2006. In 2016, AMLI’s portfolio grew to 25 LEED-certified projects, more than a third of the developer’s total properties. To increase understanding of sustainability goals, AMLI also provides the residents of each of its communities, in several different locations around the U.S., with guides to the green features of their home and the ways in which they can help maintain its performance. The AMLI residential blog even has a category for green living updates and articles. Erin Hatcher, Vice President of Sustainability at AMLI, shared some of the sustainability features recently achieved through LEED at AMLI properties. At AMLI Wallingford in Seattle, the landscaping design included flowers and foliage specifically selected to attract bees and butterflies. Not just an appealing visual element for residents of the community, the garden areas take concrete action in helping pollinator species that are struggling in the modern urban environment. 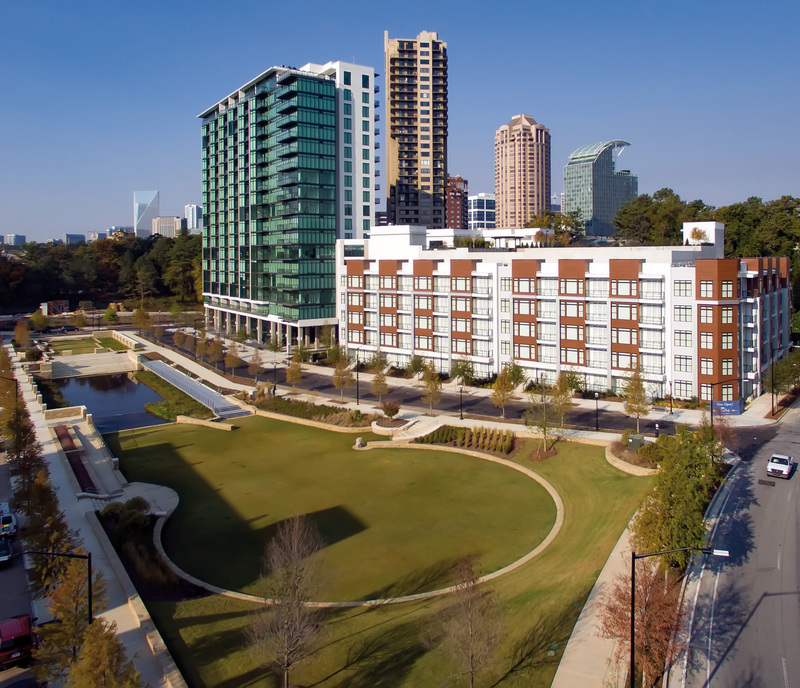 A larger sustainable landscape feature AMLI created recently was the public Marie Sims Park, in Atlanta's Buckhead neighborhood. Adding green space to a developing area and collecting stormwater runoff, the park is situated between two of AMLI's apartment communities, but is open and accessible to the entire neighborhood. Explore the LEED credit Site Development—Protect or Restore Habitat. Hatcher cited indoor air quality and energy usage credits as the most challenging for recent projects to attain. "We’ve learned a lot over the past decade, and the real challenge is pushing ourselves to do more across our portfolio," she said. At AMLI Piedmont Heights in Atlanta, the company achieved the best blower-door tests they've had to date. "We built with a high-performing building envelope, installed Energy Star windows and high-quality insulation, and issued energy efficiency upgrades almost across the board," explained Hatcher. Explore the LEED indoor environmental quality credit category. Marie Sims Park in Atlanta. "Residents can lower their carbon footprint just by moving in," said Hatcher. Through energy-efficient equipment and careful building design, the apartments reduce overall energy use as well as cutting residents’ utility bills. In addition, the company's clean air initiatives in air filtration, building materials that don’t off-gas and smoke-free policies help make the communities healthier for their inhabitants. Hatcher's number one tip for those seeking to build a LEED home or residential community is to start aiming for LEED early in the process. "The extra time allows you to truly engage with people all throughout the scope of the project and find opportunities to work together," she said. "Collaboration is key and is what allows the building to reach its optimal potential. It also helps align everyone on the project’s goals so that you can stay committed with a clear vision for the final project in mind."